2018 will be marked down as a brilliant year for Boston in Bloom. 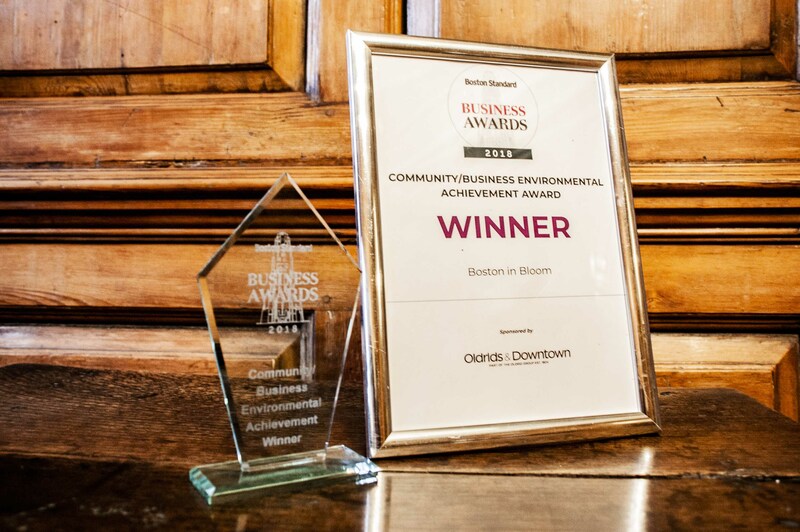 To add to an armful of successes it has now received a Boston Business Award and a Pride of Boston Award. The in-bloom team added its fourth gold medal running to its impressive list of in-bloom successes, as well as four other special in-bloom awards in 2018. Now it has received a trophy and certificate in the Boston Standard community/business environmental achievement award and the Boston Preservation Trust Civic Group Pride of Boston award. 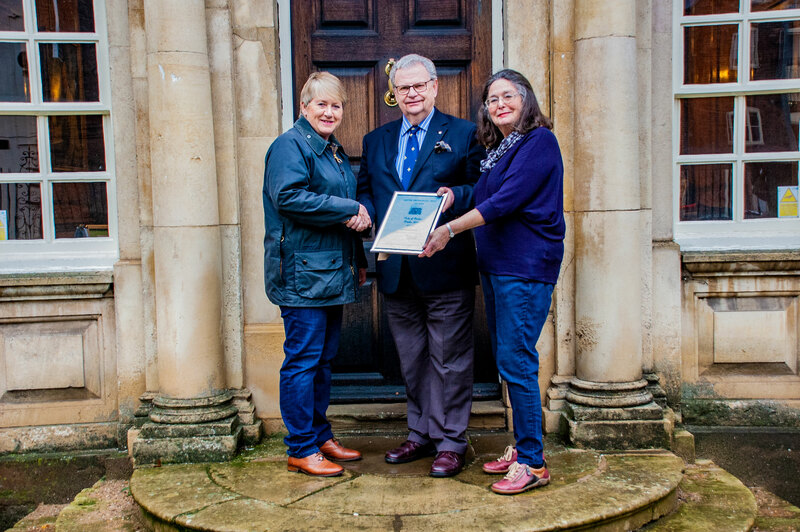 Cllr Claire Rylott, left, and Alison Fairman receive the Pride of Boston Award from Dudley Bryant of Boston Preservation Trust. Boston-in-Bloom’s Boston Standard Business Award. See our 2019 projects now! Click Here! © 2018 Boston in Bloom.